PT.Miura Indonesia Head Office at Jl.Harapan Raya Lot KK-10 Karawang International Industrial City (KIIC) Karawang, held fire prevention training and evacuation of victims. The training was held to improve the ability and awareness of disaster handling. 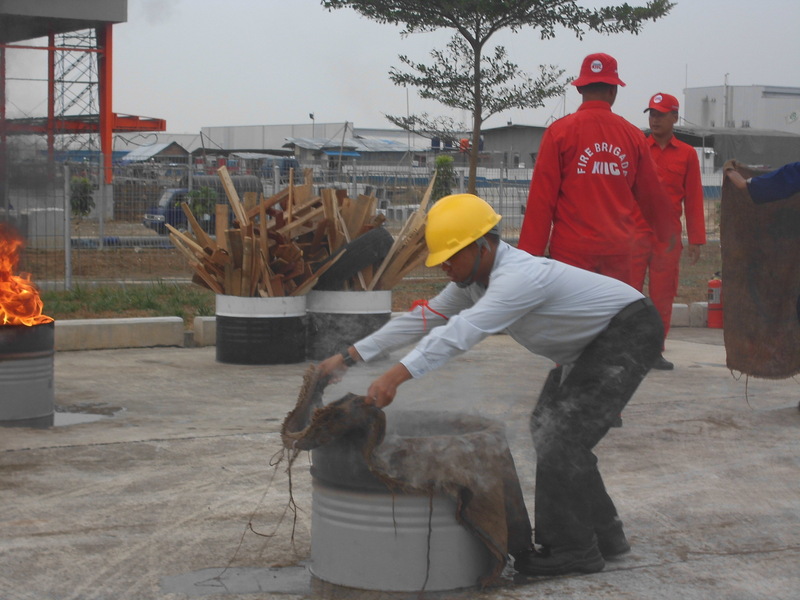 "In this training, together officers conduct training ranging from fire prevention to evacuation"
HRGA Senior Manager, Wibowo Laksono said, the training activities involved as many as 7 firefighters KIIC and 80 Employees. In the evacuation material, one of them evacuated the patient from the second floor of the Miura Indonesia building. The patient is taken down with a Rescue Rescue and an Oxygen Mask. This activity was carried out without the knowledge of the employees, the response to the False Alarm and the accident simulation became an indicator of the success of this implementation. "In this training, together with officers conduct training from fire fighting until evacuation, this training is also to keep our officers on standby," he said. In addition to the evacuation training, all employees of Miura Indonesia Head Office are also equipped with general fire prevention theory, active protection knowledge on building and fire safety building management. It is expected that training can improve officers' ability to minimize casualties during a disaster.